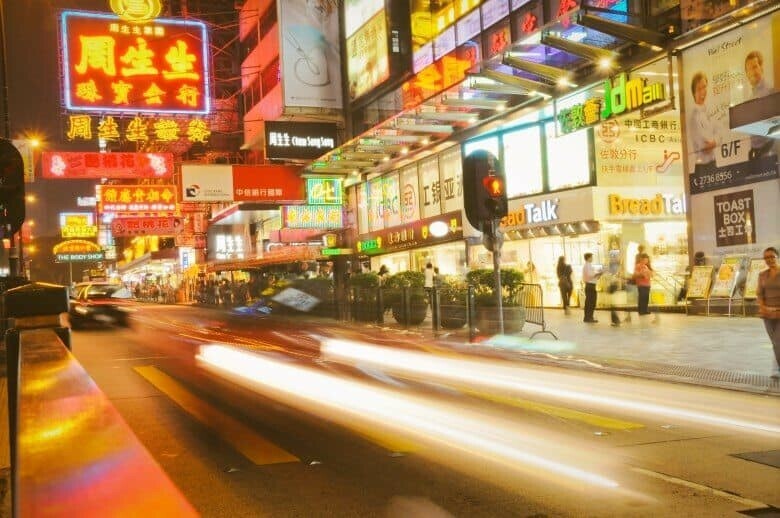 Hong Kong is an energetic blend of culture, history and innovation. 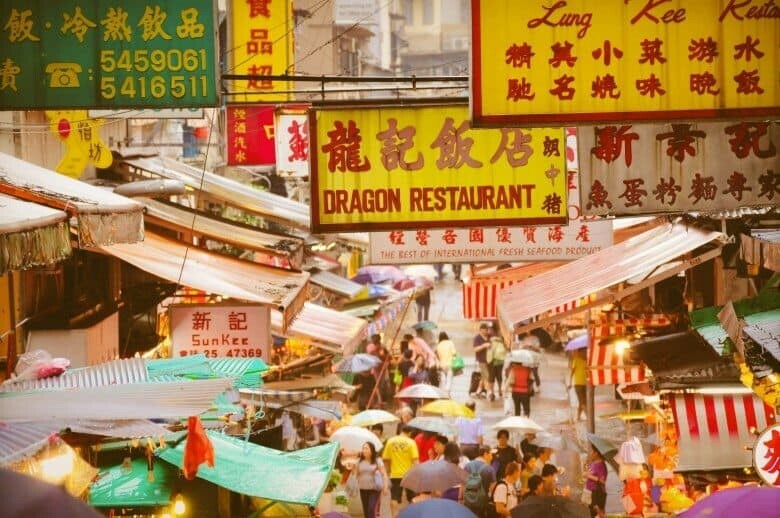 Amongst the neon lights and crowded city streets lies a traditional soul and sleeping dragon. It’s an urban jungle surrounded by areas of complete natural seclusion and you can see most of it within just a few days. 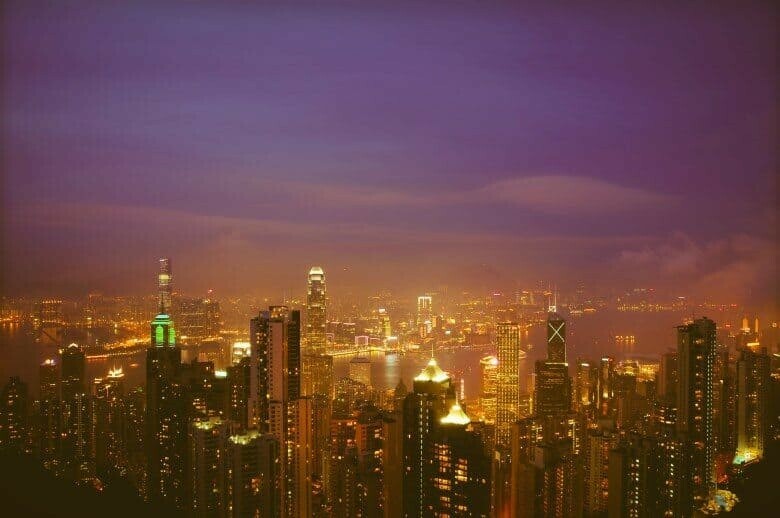 For those who have Hong Kong on the travel schedule or just dream of visiting one day, here is a list of the best places to photograph this fascinating city. Your interactive map to the locations listed is below…you can switch between walking, public transport and driving modes. 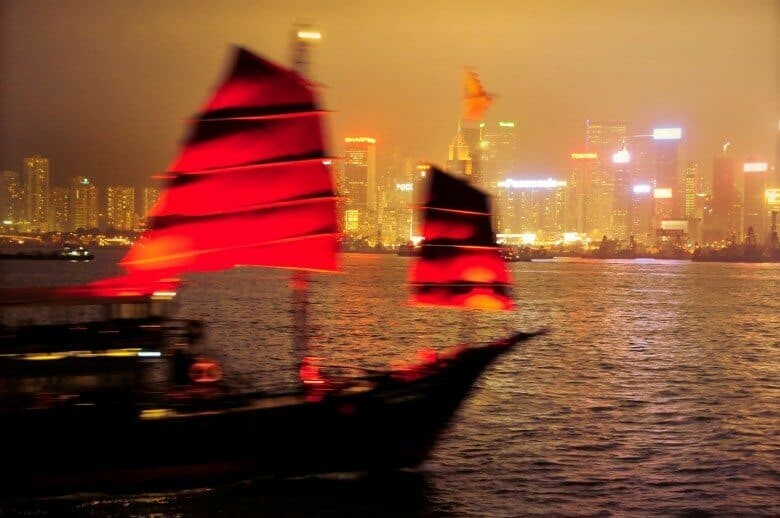 History has it noted that a cave on the island hides the buried treasure of a pirate who once sailed the seas around Hong Kong. 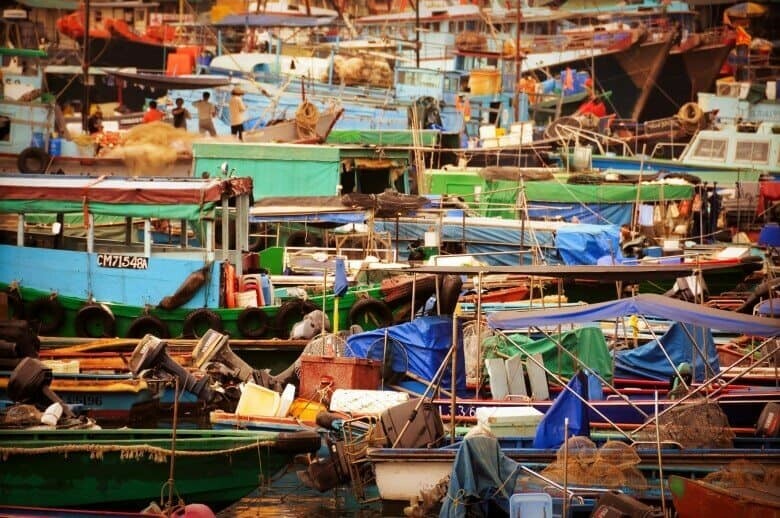 Cheung Chau however isn’t gold and flashy, while it may be sitting on a fortune it’s a quiet fishing port where you can watch locals bring in their daily catch, clean it then serve it to you on a plate. 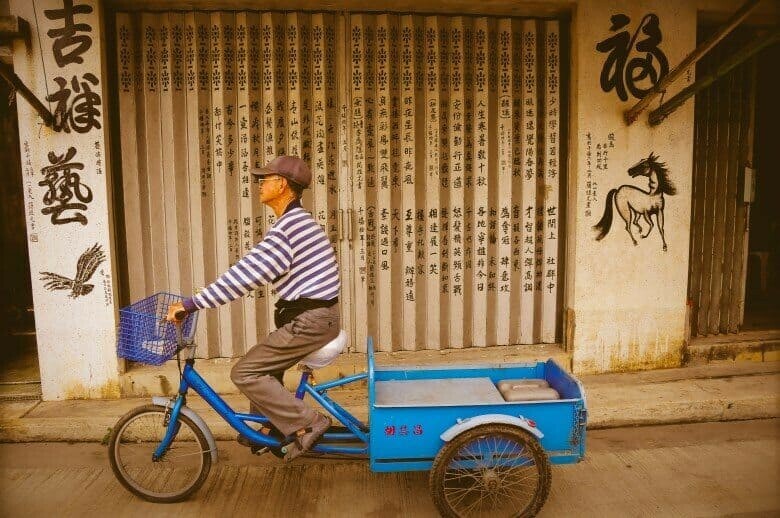 You’ll find bicycles are the main form of transport and by wandering the small streets you can soak up and photograph this vibrant little community. 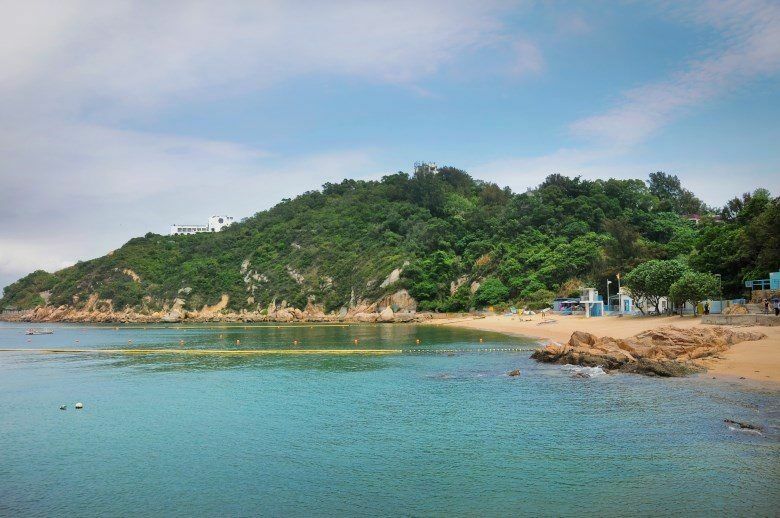 Tung Wan Beach on the east side is a popular spot for windsurfers and you can kick back for lunch in the Cheung Chau Windsurfing Centre, a simple little café with great views and a laid back vibe. 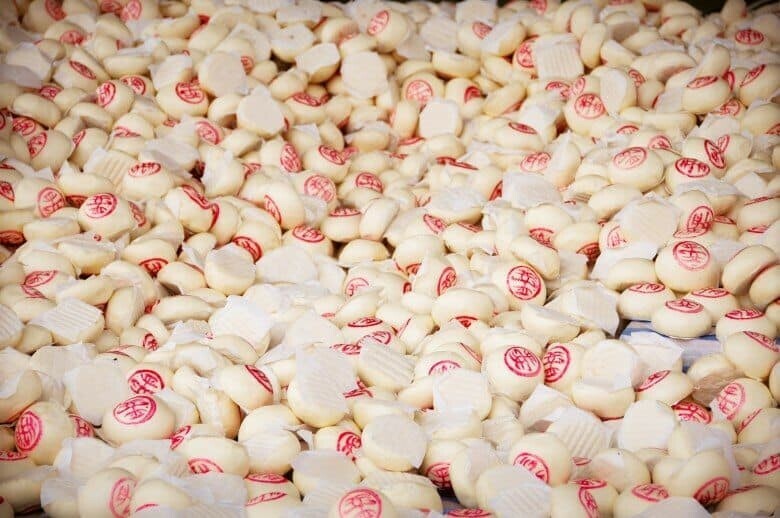 Once a year on or around the Buddha’s birthday, the island celebrates the infamous Bun Festival with huge 60ft towers covered in buns set up for the ‘Bun Grabbing Contest’, street parades and colourful markets, a great time of year to visit! 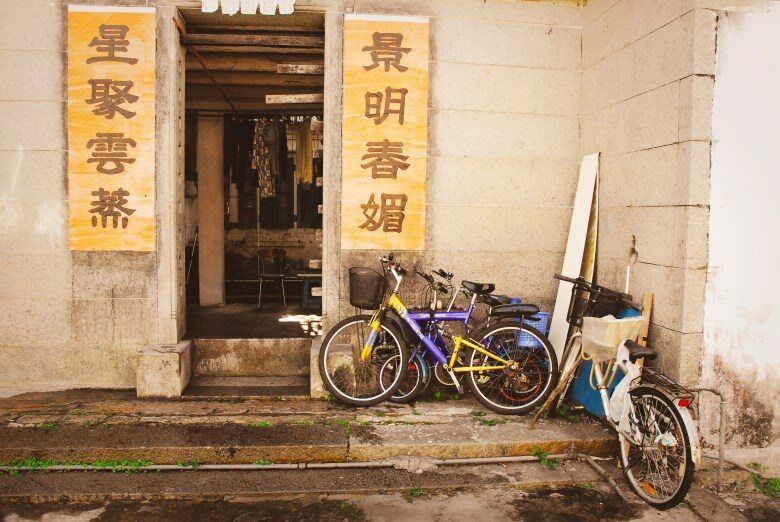 Tsang Tai Uk isn’t on your typical tourist itinerary; it’s one of those places you feel lucky to be invited to witness, a historic world within a mega city. Beside the Shing Mun River are the always present high rise apartment buildings however beneath them are villages founded more than 150 years ago. 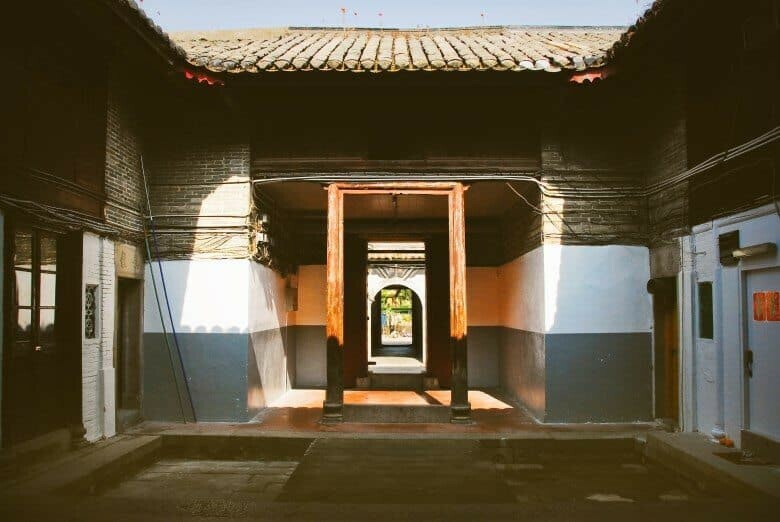 Tsang Tai Uk, also known as Shan Ha Wai Village, is a walled complex accessible through a small entrance you can only really find by peeking inside and hoping no one gets mad for you being there. It really feels like you’re intruding into a world that the surrounding area left behind but most people are happy to see you exploring and smile as you pass their homes. 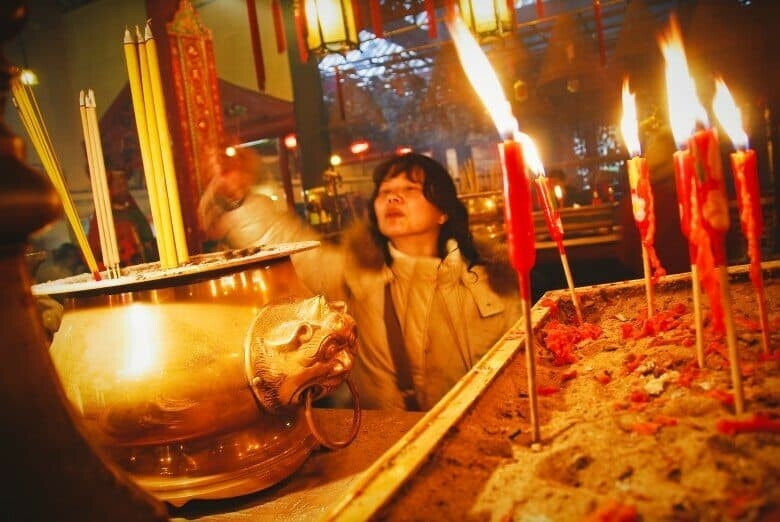 Jump on the MTR East Rail Line which starts at Hung Hom Station in Kowloon and hop off at Sha Tin Wai Station or nearby Che Kung Temple station is also worth exploring with the Che Kung Temple offering loads of photo opportunities! 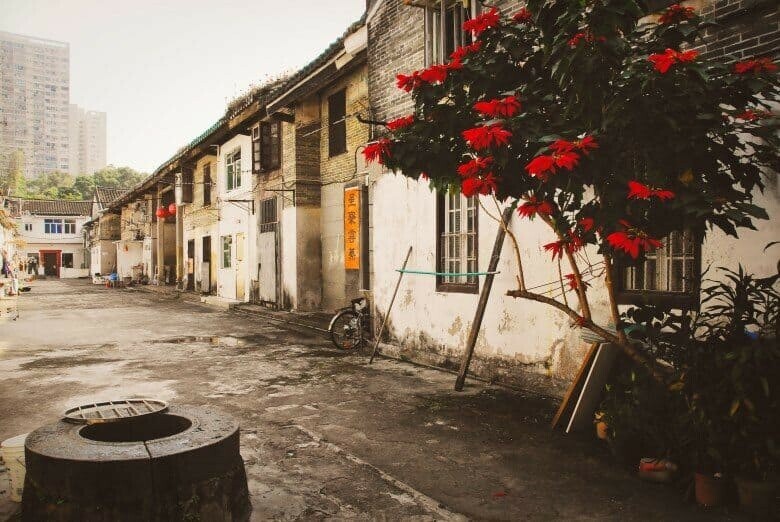 From Che Kung Temple Station it’s a beautiful and peaceful walk through lush parkland where houses have mini fields and crops growing. 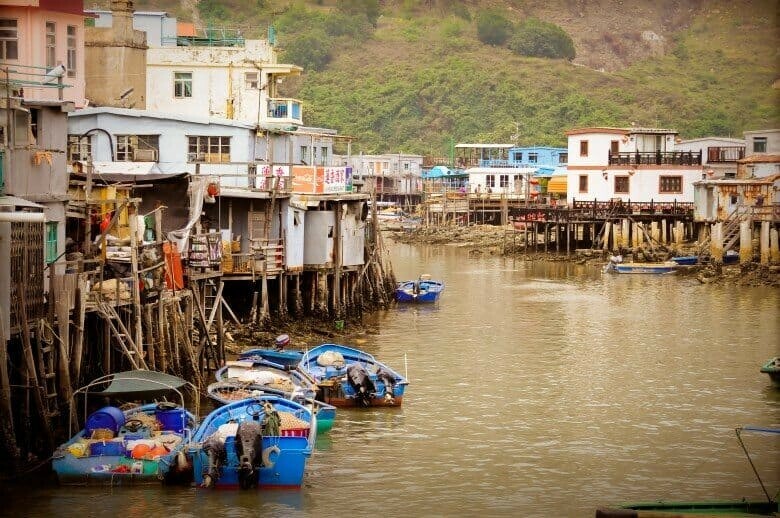 Stilt houses line the creek and provide an insight into this active fishing village. Most houses in this little community are built on the water and have a boat tied to the front so they can head out to sea and catch seafood goodies. 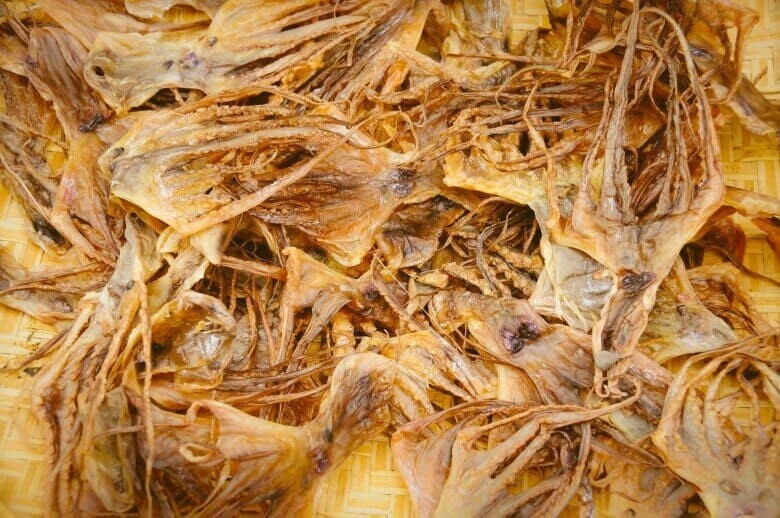 Lining the small pathways through the village you’ll find a collection of salty treats if dried octopus, fish and odd sea creatures are your thing. 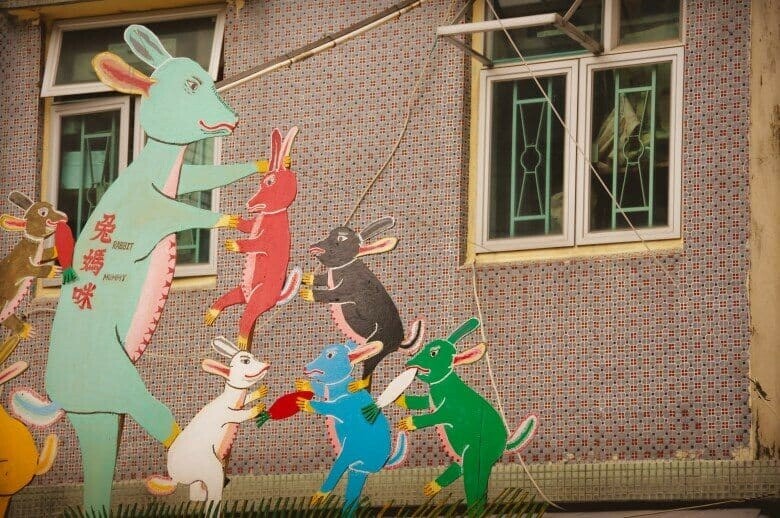 The village also has a quirky side with creative and sometimes hilarious additions to their gardens and walls. 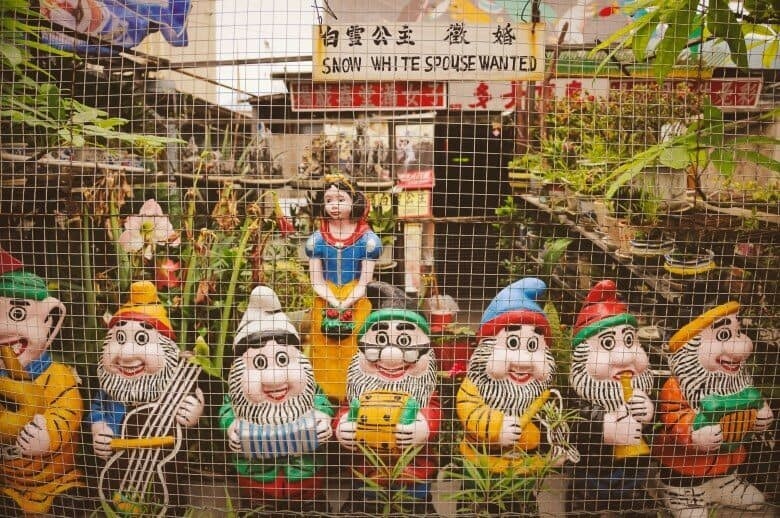 My favourite is the private garden advertising snow white to eligible suitors seemingly at the approval of the seven dwarfs. 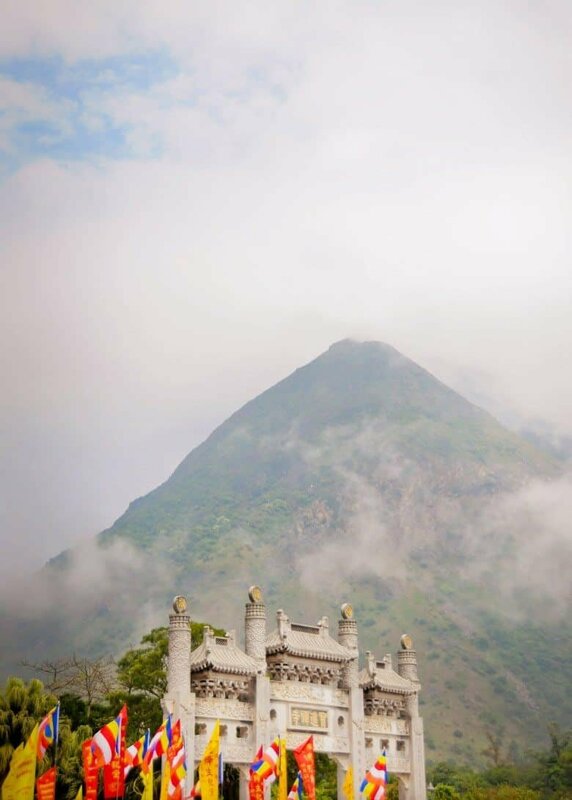 No visit to Hong Kong is complete without venturing to see the mighty Tian Tan Buddha. Sitting at 34metres high, you need to climb 268 steps to reach the majestic bronze statue. 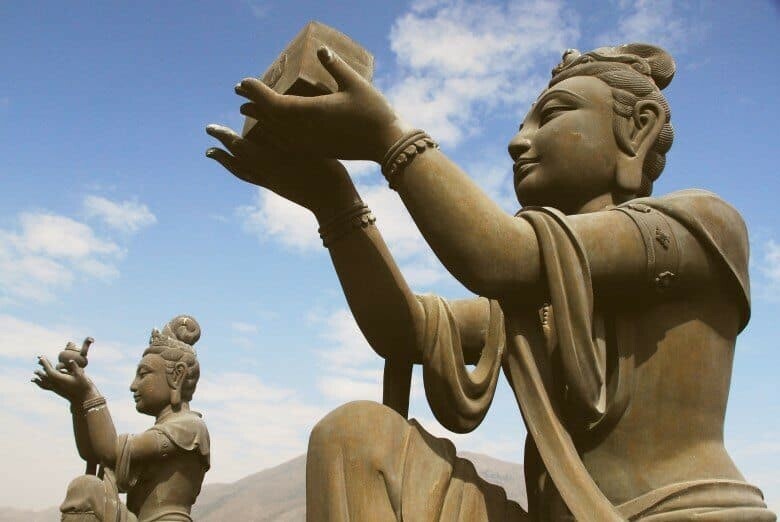 On a clear day you can photograph the island scenery and stare up at the Buddha as he offers a blessing to all who visit. 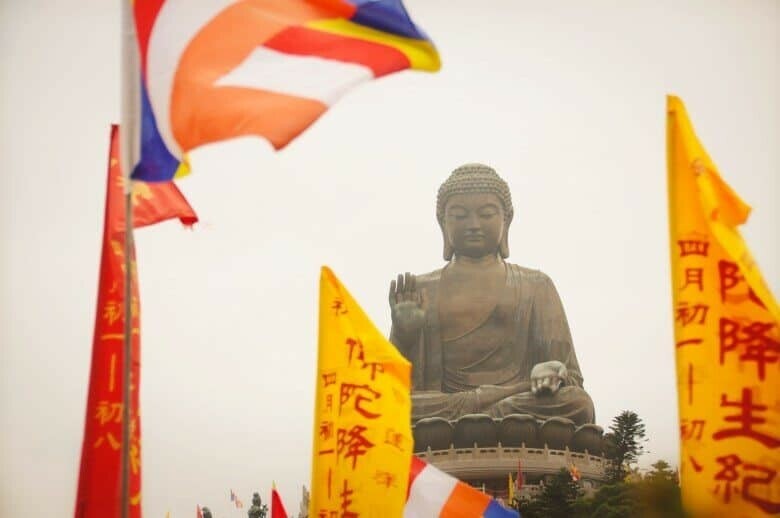 The area was once relatively hidden amongst the mountains of Lantau Island but now you can access the area by bus, taxi or my favourite, the Ngong Ping 360. 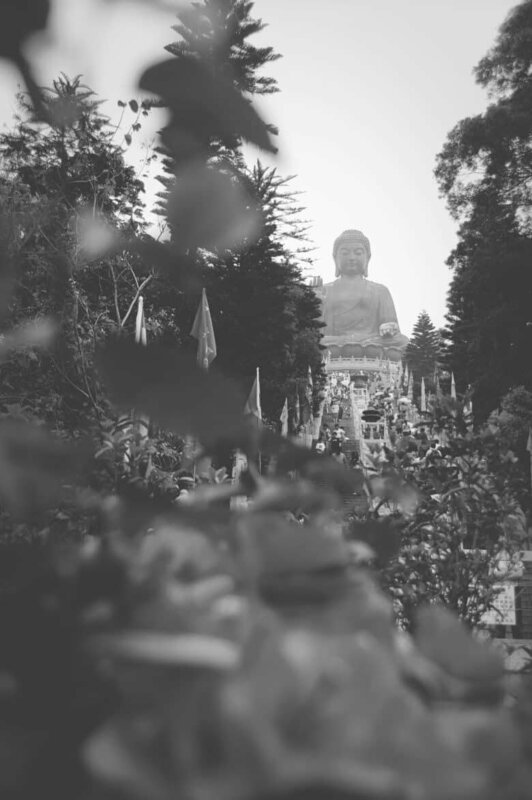 The Ngong Ping Cable Car takes you from Tung Chung (easily accessible by metro from downtown Hong Kong) over the mystic mountains so you can look down on the forest below and catch a glimpse of the Buddha as it reveals itself from behind the mountain peaks. It is a little touristy but the views and giant Buddha are more than worth sharing it with the world. 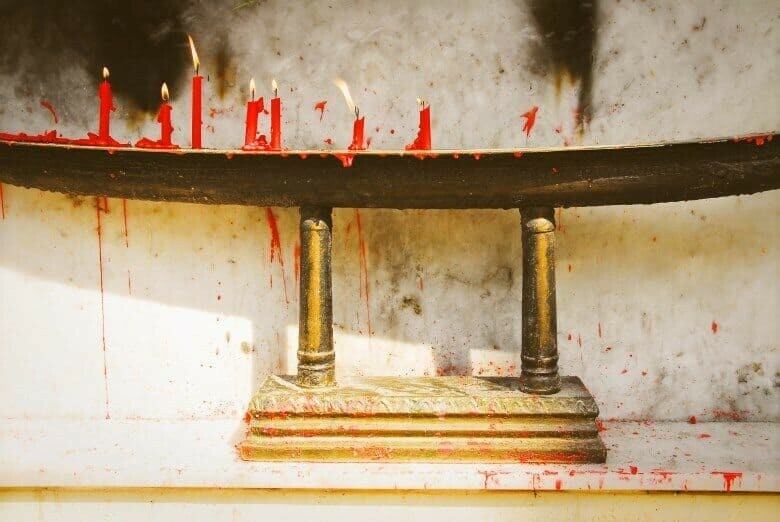 I would suggest skipping the Ngong Ping Village and heading straight for the Po Lin Monastery at the base of the Buddha. 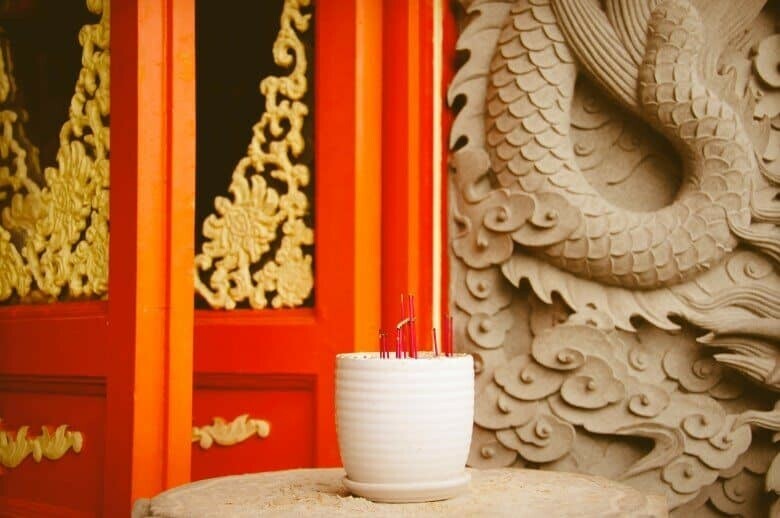 Beautiful gardens, peaceful rest areas and an elaborate temple. 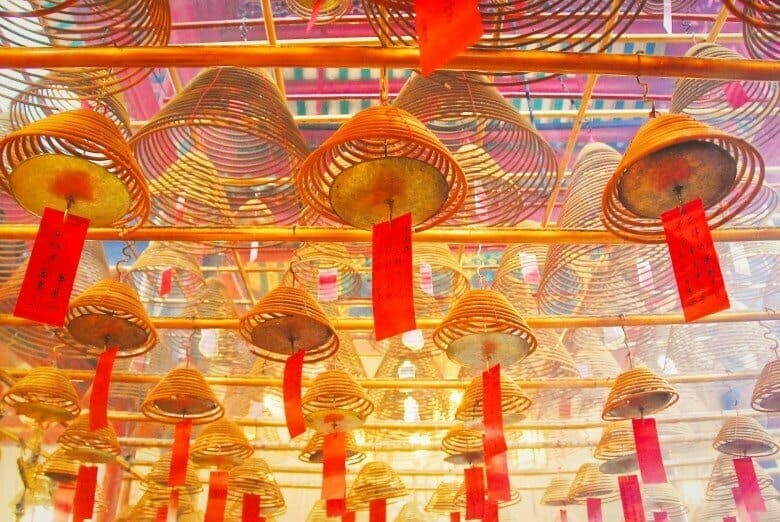 Located on Hollywood Road, this temple is filled with incense coils that hang from the roof and create an incredible experience as they smolder to set the scene. 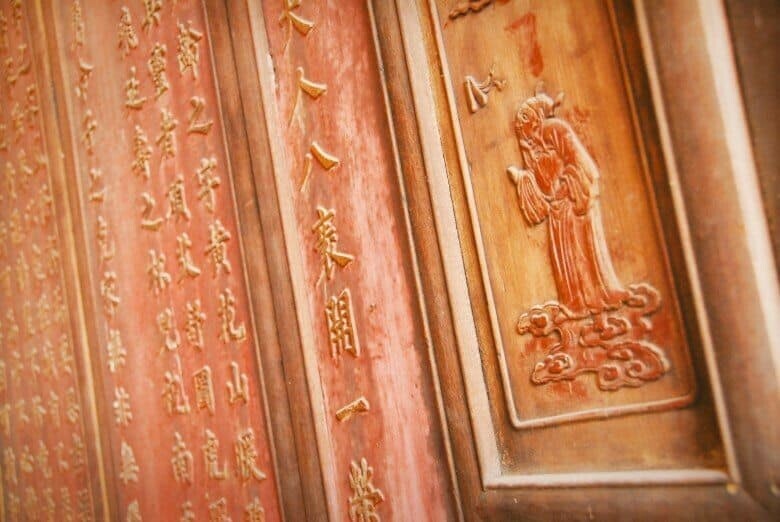 Dedicated to the gods Man Cheong and Kwan Tai you can photograph inside the extravagantly decorated temple and watch as people worship and place offerings. Bustling, congested and fast paced. 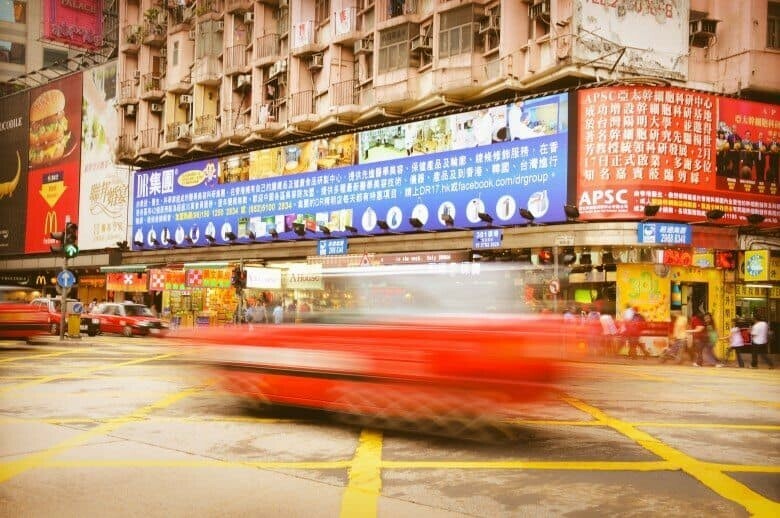 Nathan Road is a traffic jam of flashing neon signs, advertisements and people everywhere. If you can find a space to yourself it makes for a great location to capture night photographs with moving traffic blurred as they zoom past. The road changes as you walk along it, some parts are lined with trees, others are packed with high rise buildings and further north it gets a little more traditional. 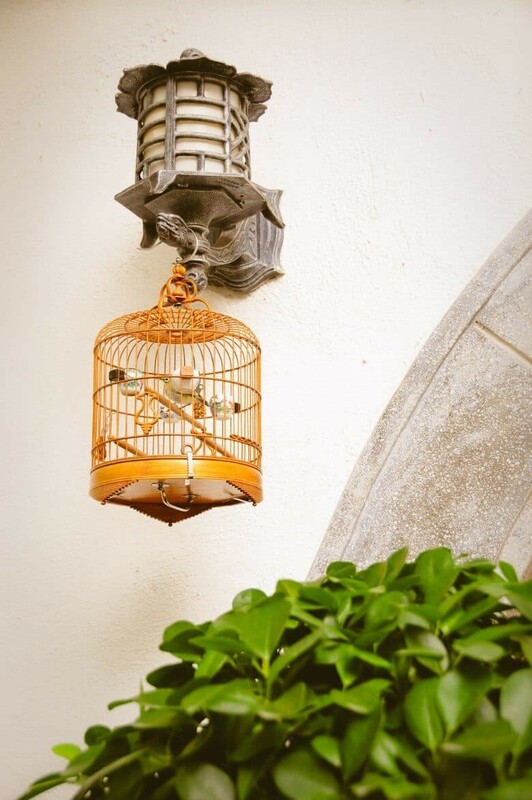 Cat Street is the place to go if you love hidden treasures. Photography wise it’s a lane of immense colour, history and culture great for close up shots and bustling market scenes. 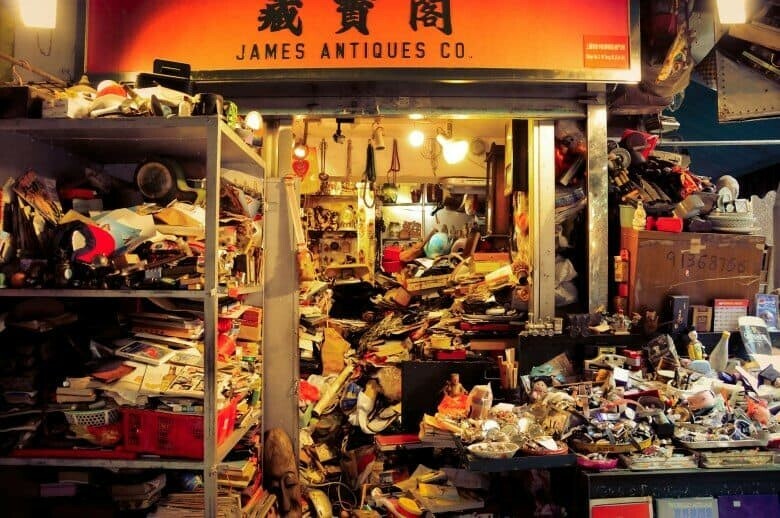 While you can find jade, silk and wooden gems worth a small fortune, my favourite stores are the ones filled to the brim with years of collectables. When I say brim, I mean literally the roof. I couldn’t quite work out how they closed these stores considering the goods spilled out onto the street but there must have been doors hidden there somewhere. 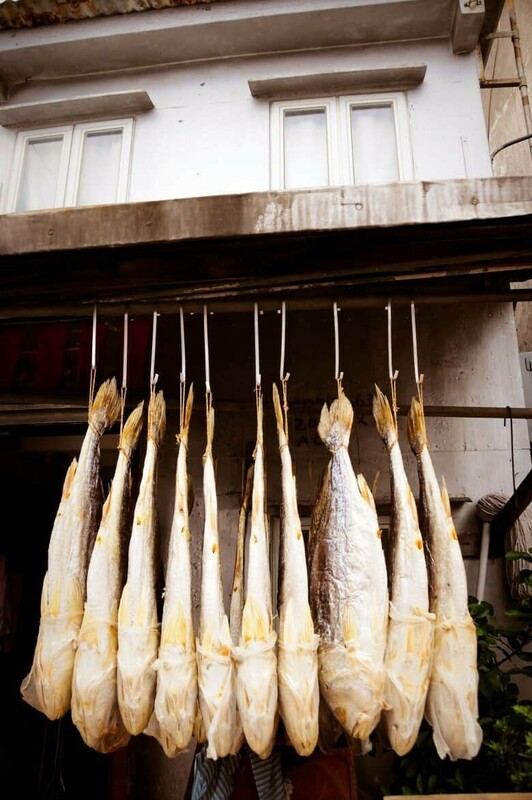 Cat Street is called ‘Upper Lascar Row’ on the map so be sure to wander here and to the nearby Wet Markets where fresh produce is on display and the street scene offers some great photography opportunities. 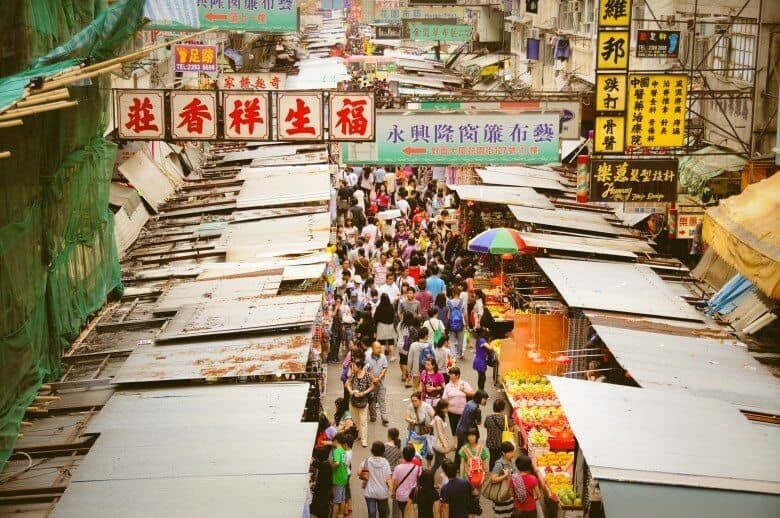 Street markets in Hong Kong are one of the most amusing experiences you can have. By grouping stalls selling similar products they’ve created streets buzzing with energy and colour, if you need to find something you will no doubt find 500 varieties in the one street. Photo worthy from every angle! 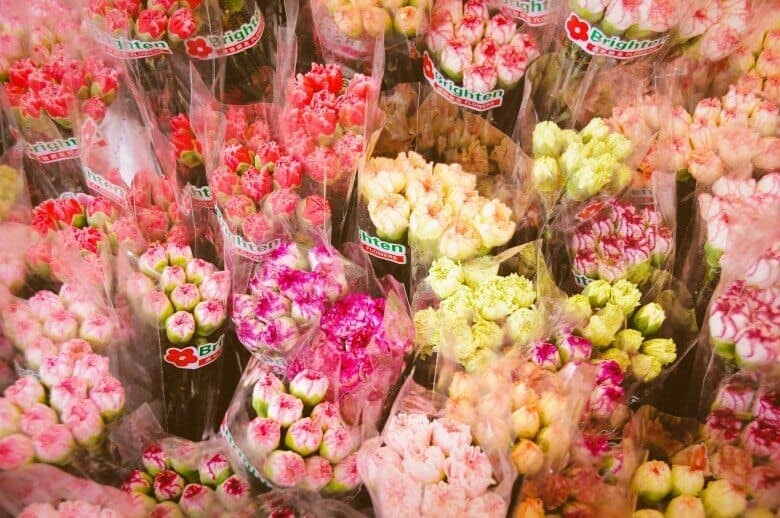 My pick are the Flower, Fish and Bird Markets of Kowloon. 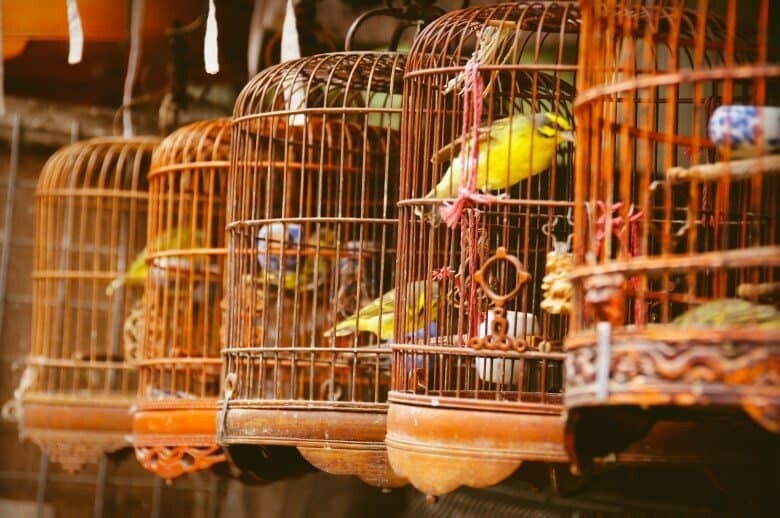 The Yuen Po Street Bird Garden is such a unique little hub of antique bird cages housing exotic bird species some for sale and others just for show. 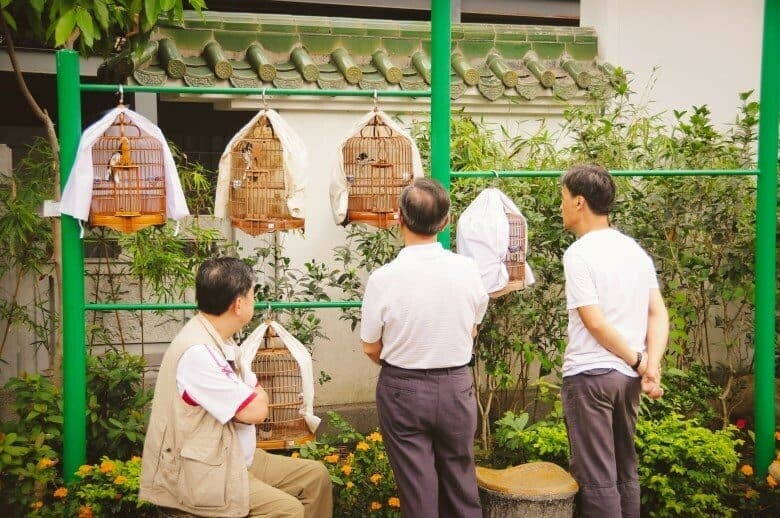 Local bird enthusiasts gather here to enjoy the songbirds and bring theirs along for a play date, it’s so special to see how proud they are of their birds and if you’re lucky you will also get invited to hold them. Nearby you will find the Flower and Fish Street Markets, both selling the obvious. 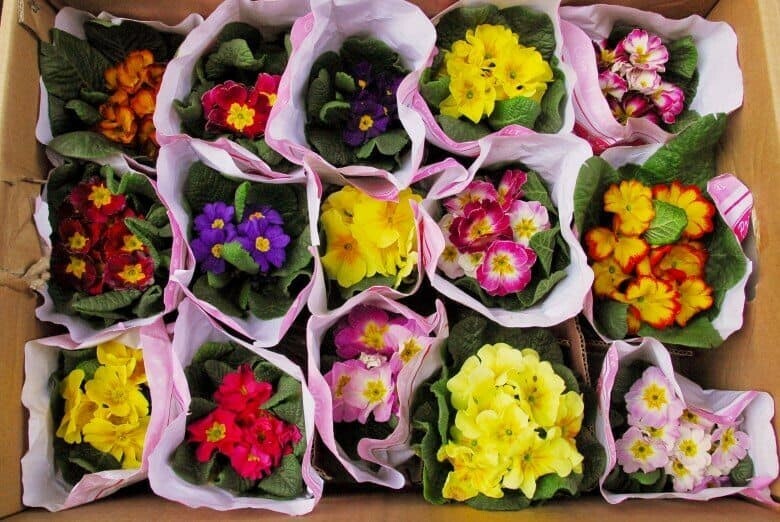 The Flower Market is a colourful hive of activity with every possible flora product available including centuries old bonsai plants, pretty blooms and anything you could ever want to make your garden grow. 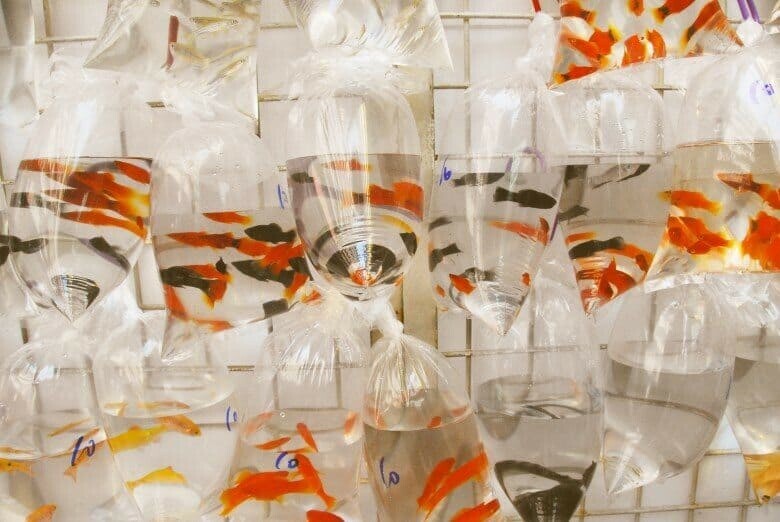 The Goldfish Market is like a street side aquarium filled with wonders of the underwater world. 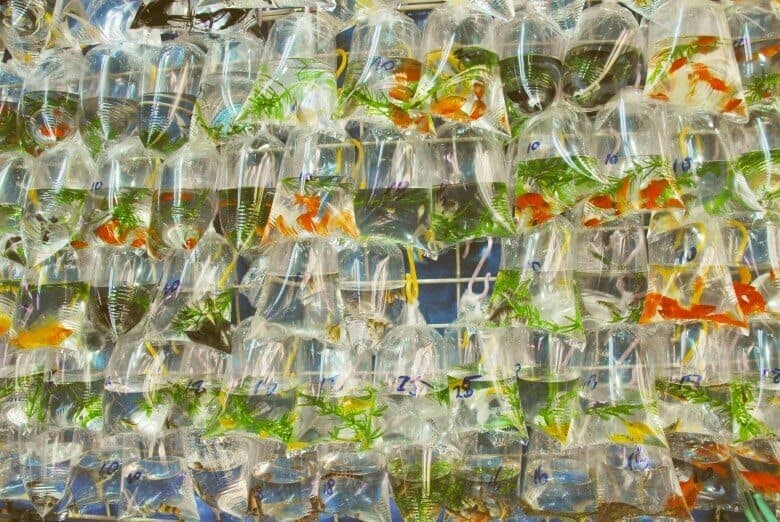 Goldfish are by far the most widely available item but if you peek inside the stores you will uncover weird and wonderful creatures, everything from spiders (yes, big ones!) and snakes to Turtles and Iguana’s. 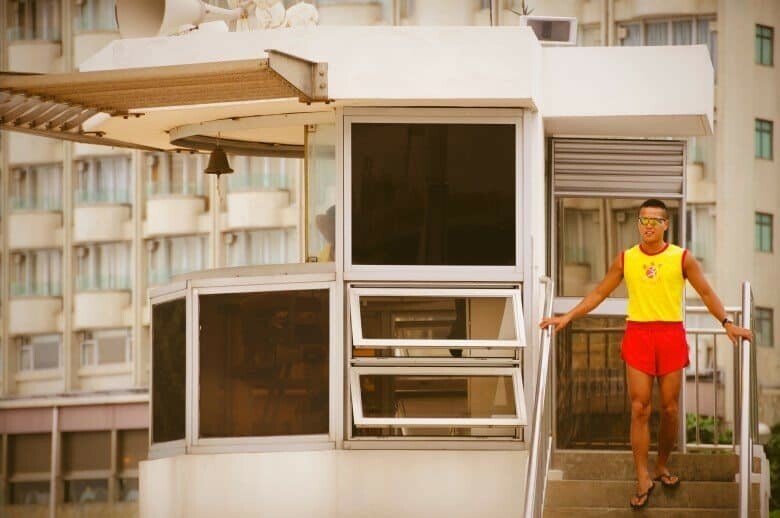 Access them from nearby Mong Kok Station or wander along Nathan Road from the ferry terminal. 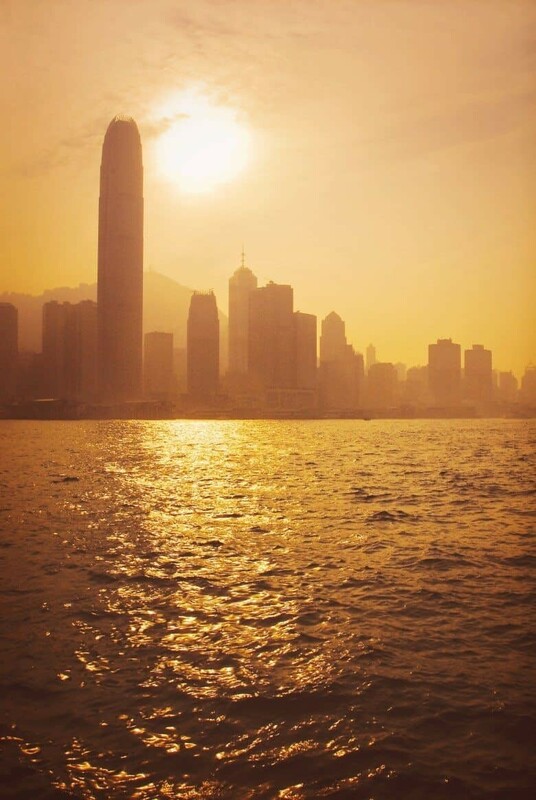 Best seen from the Kowloon Side just near Tsim Sha Tsui Ferry terminal and the Avenue of Stars. 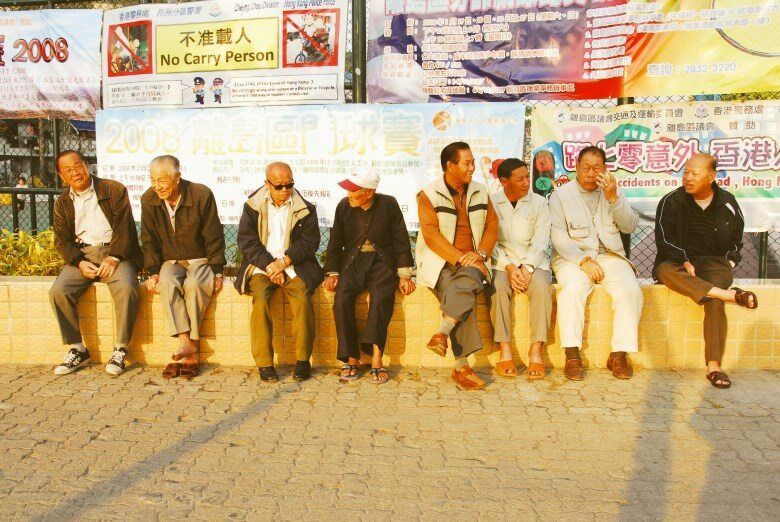 Chinese junks float past, traditional ferry boats and giant cruise ships, as one of the world’s busiest ports there will never be a quiet moment. This spot is also the best vantage point for the largest permanent light and sound show in the world. 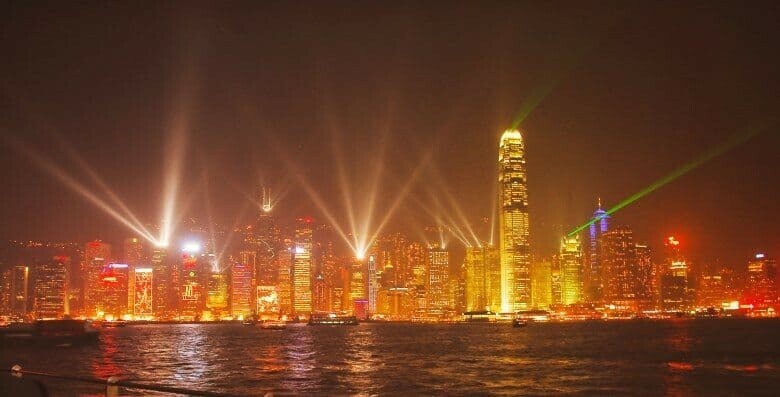 Some might consider it tacky but when do you get a chance to watch an entire city lit up with dancing lights synchronized to music on top of more than 40 high rise buildings!? I wish I had more time to capture long exposure shots here but I just took a quick snap…definitely take a tripod if you’re planning to visit! 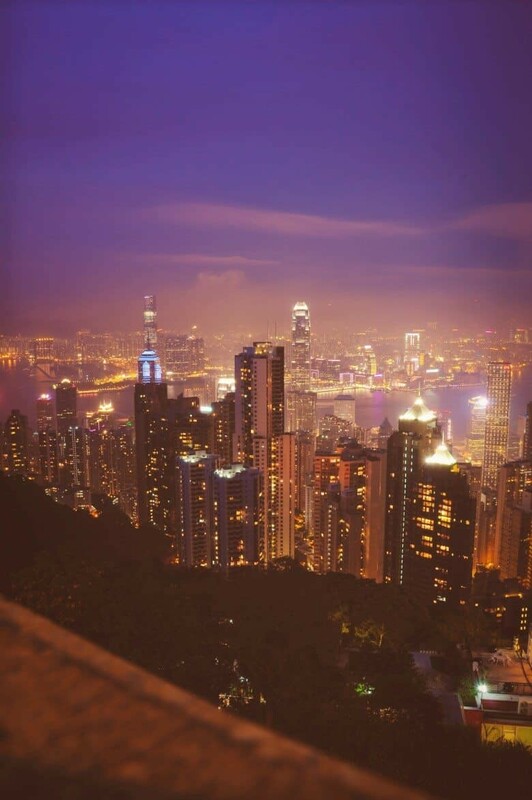 The Peak – To see Hong Kong in its full glory a visit to The Peak is essential. It’s also great for getting your bearings when you first arrive. From the lookout you gaze down over a sea of buildings and can see the tiny worlds and gardens people have created on top of the high rise apartments. There is also some beautiful walks here that venture through the dense rainforest, on a clear day it’s worth spending a few hours up here! 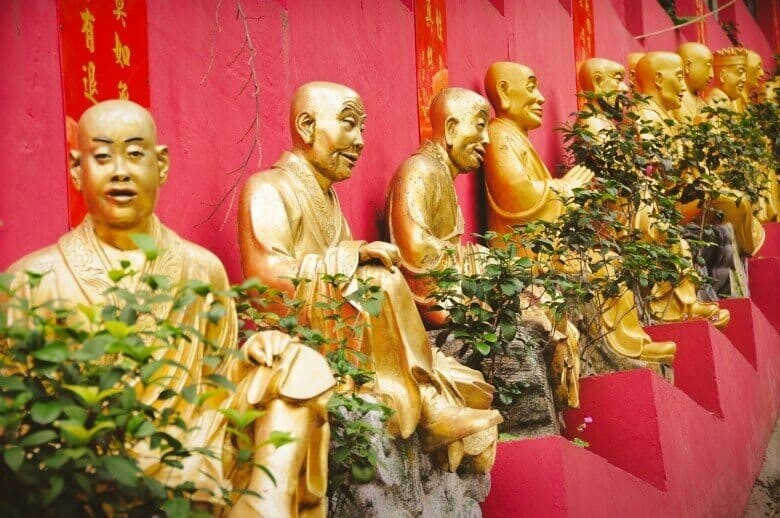 Ten Thousand Buddha’s Monastery – Located in the New Territories near Sha Tin it’s a popular tourist attraction and fascinating walk. Over 500 life size gold statues lead the way to the temple which is nestled on a hillside amongst a bamboo forest. I’ll admit I never made it to the top…we visited in summer and the temperature peaked at 36 degrees with insane humidity so I convinced myself the gold statues were the main sight. 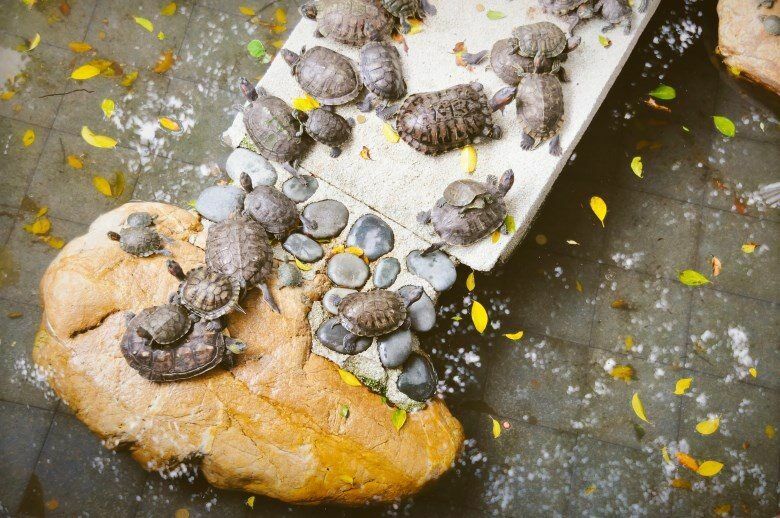 At the base of the walk you’ll find a collection of ponds filled with turtles too! Hong Kong Park – A welcome escape from the city scene, this park is smack bang amongst the buildings of downtown Hong Kong but feels like you are off exploring in the jungle. 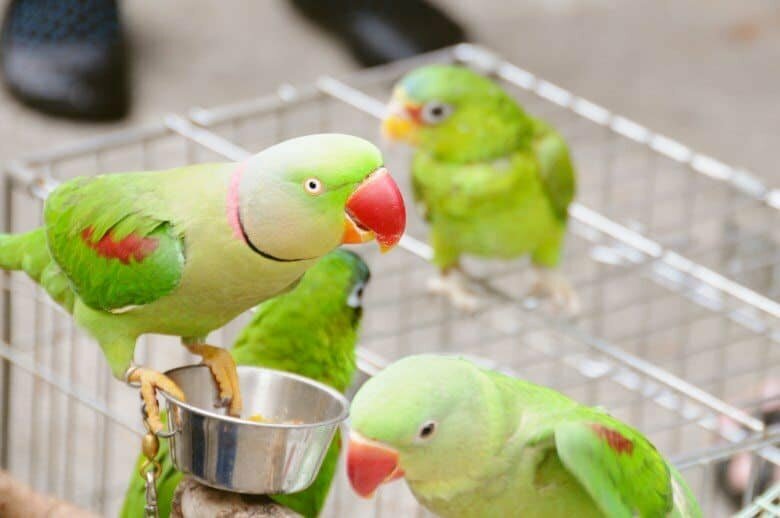 An oasis of lush green gardens blended with ponds, natural rock walls and you’ll even find a monkey park! 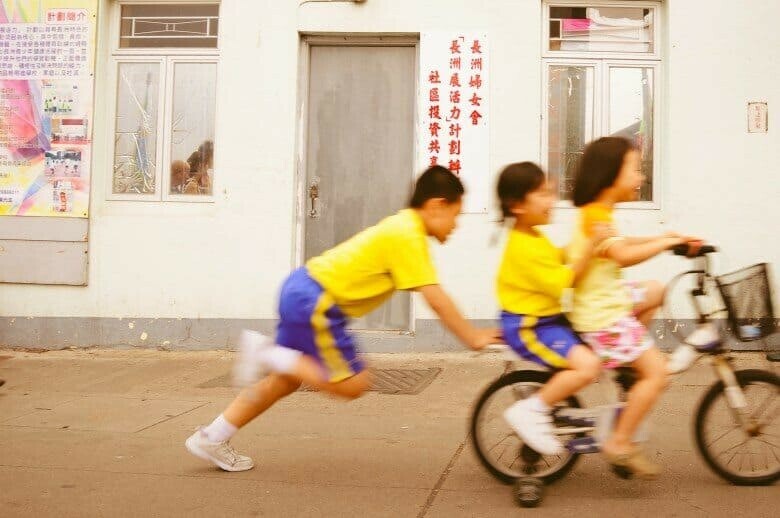 Have fun exploring Hong Kong! 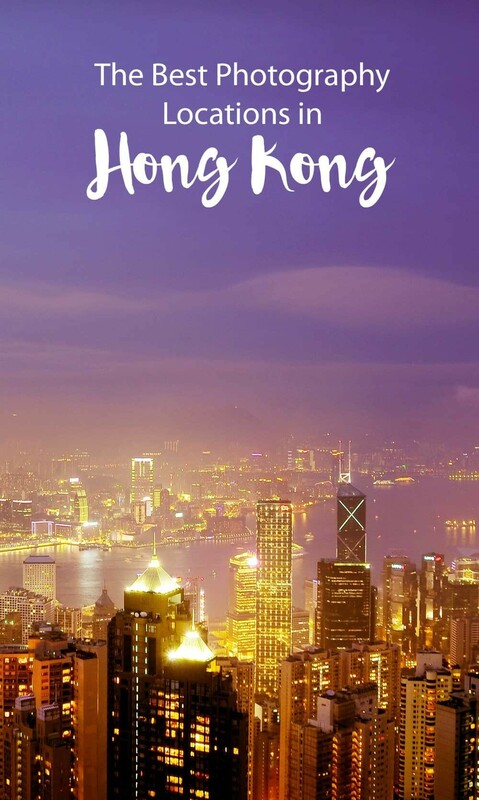 Hong Kong is pretty huge and once you include Kowloon, deciding where to stay is very important depending on what you want to do and see during your stay. I’ve put together a few recommendations based on their proximity to photogenic places. 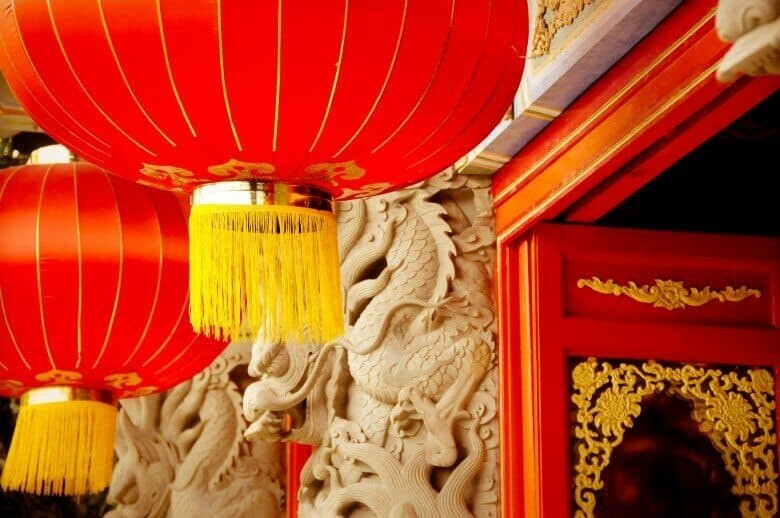 Take a peek at which hotels I recommend for Hong Kong. 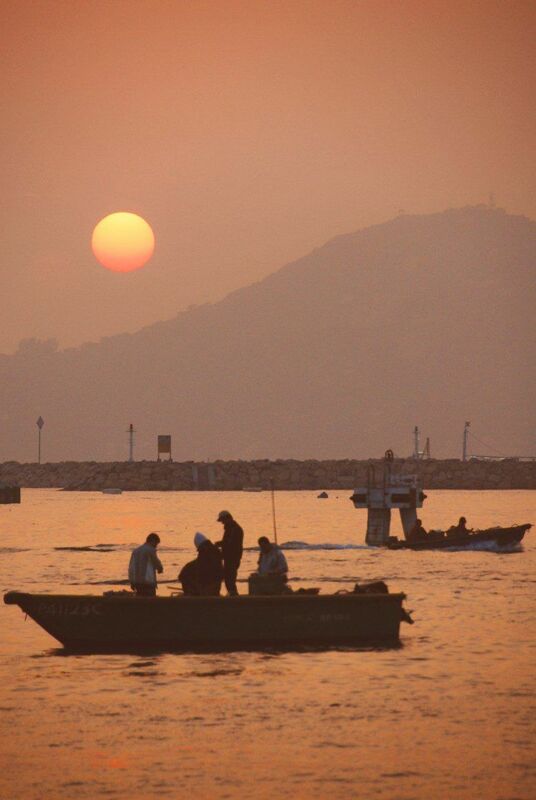 Tai O Heritage Hotel – To escape the city and spend some time in this traditional fishing village on Lantau Island. Or take a read of my archive of Photography Tips to improve your travel photos! Other photography location guides on The Wandering Lens that may be of interest include Paris, Venice, Iceland and more. Thank you for this helpful post especially the map. 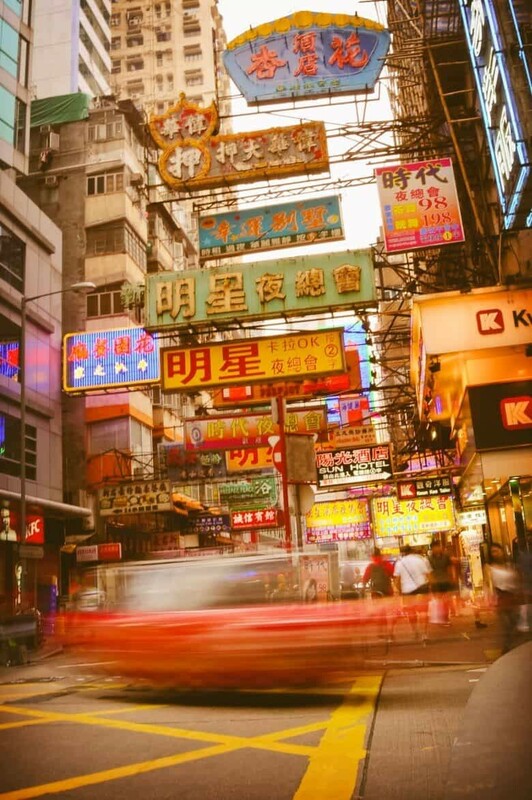 Great guide – am heading for HK next week so will use your location tips. Many thanks for that. I like the look of your pics – film-like. How much of that is what the camera spits out and how much in post? Pascal Dangin says his P’shop work is all about getting digital to look like film and I guess with his client list he’s onto something! I will be on Ektar and Portra 400 in Xpan and Zeiss Ikon. Then on to Vietnam… Should be fun. Hi Chris, great to hear you’re heading to Hong Kong next week! You’ll actually find that some of the film look in Hong Kong in particular is caused by the humidity and fog which can hover over the city, otherwise I use a set of presets that I’ve created myself to balance the highlights/shadows. 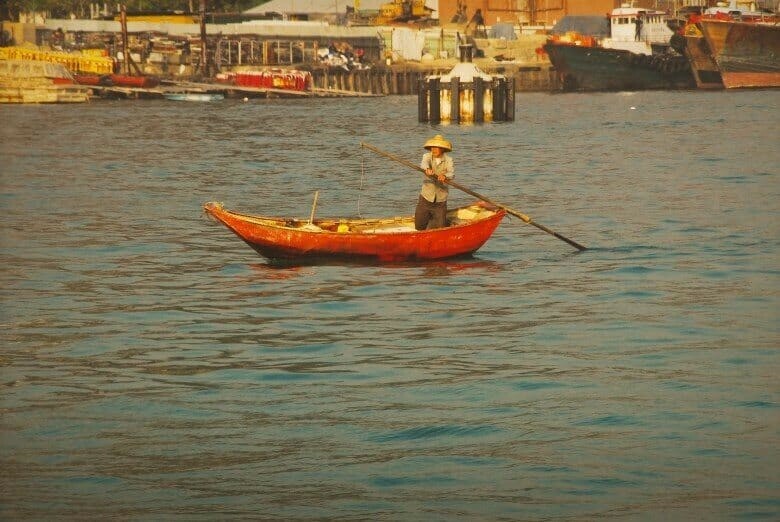 Vietnam is VERY photogenic, I visited years ago, probably up to 16yrs ago now before I had a digital camera but even with a little film camera I remember the colours and people, in particular around Hoi An is so incredible. Enjoy your travels!